I'm going to be honest straight from the start: This is going to be a totally biased review. 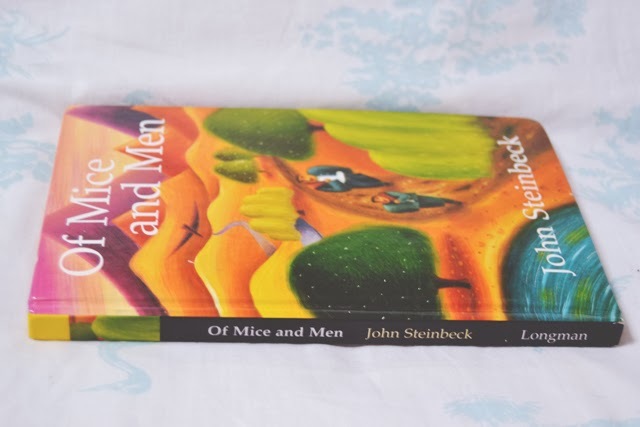 Of Mice and Men is my favourite book of all time, I absolutely love it and I can't think of a single thing I dislike about it. I first read this book aged 14 and I was kind of into it at the time. I wasn't blown away by it but I didn't hate it like some of the other students in my year group. I was very bookish anyway so I wasn't put off by reading a bit of classic literature. By the time my brother studied the text three years later, I was in love with it. I read his copy of the book from school (which he never returned!) and helped him prepare for his exam. 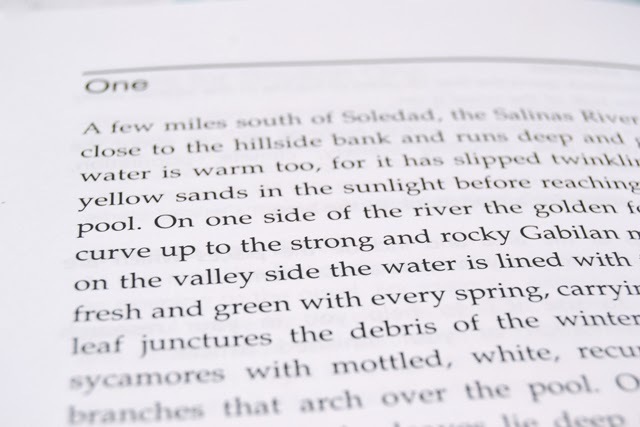 Once the pressure of reading for a grade was lifted, I fell in love with the story. I don't tend to read books more than once. There are so many books in the world that I want to read all of them, and I don't have time to be going over the ones I've already read. This novel is the exception. 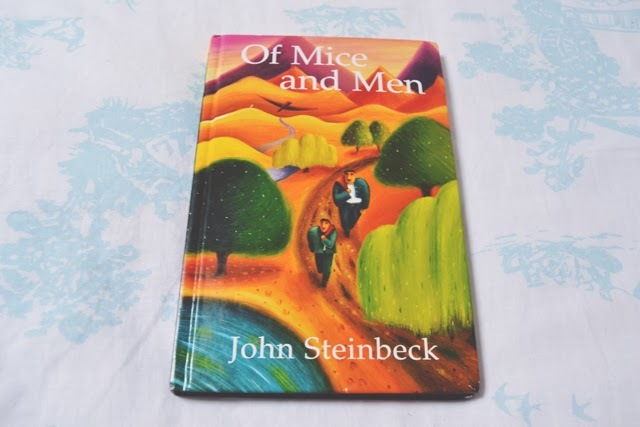 Of Mice and Men tells the story of George and Lennie, two very different migrant workers who work on ranches in 1930s California to save up money for their own piece of land. The two men are very different- George is a cool, level-headed man whereas Lennie has all the innocence and naiveté of a child. Steinbeck's writing is absolutely beautiful. His descriptions of settings are wonderfully poetic, especially those that describe the Californian landscape. However, there is never any indication of unnecessary detail. Everything is concise and straight to the point, meaning this book is only around 100 pages. I love this as I can read it in 90 minutes whenever I get the urge to pick it up again. 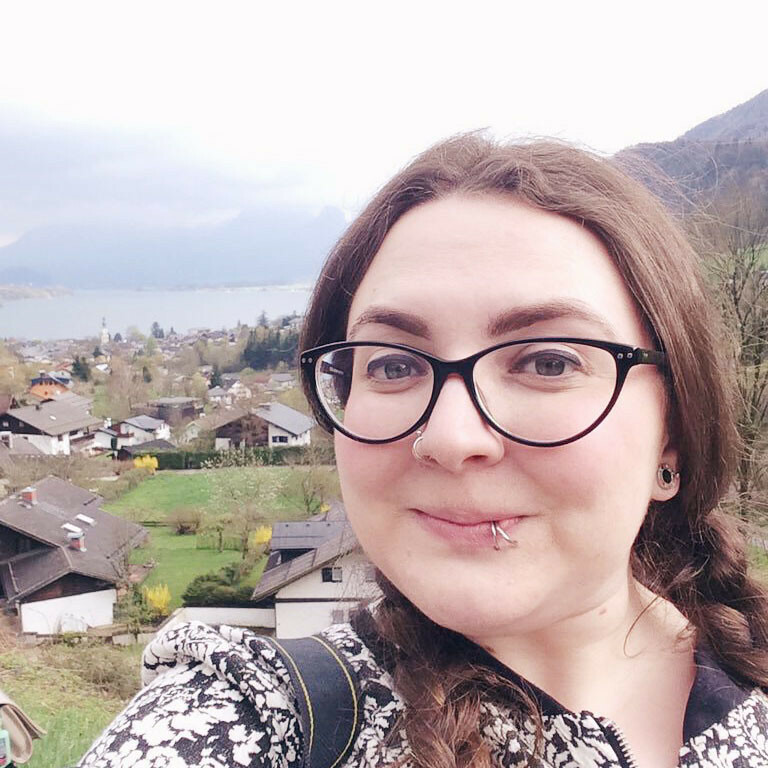 The themes of friendship, loneliness and hopeless dreams are prevalent throughout the whole novel with a whole load of foreshadowing thrown in to increase the sense of dread as you read on. By the end, I am always in tears, no matter how many times I read it. It's absolutely heartbreaking but so beautiful that I still want to read it again and again. I seriously think that everybody should read this book at least once in their lives. If you haven't already, go and get a copy right now. Ps: Being Human fans who know the story of Of Mice and Men, can we talk about the parallels with George and Mitchell? I mean, he's even called George! I can't decide if it's a coincidence or not. Oh I love Of Mine and Men! And Steinbeck's writing is just spectacular. I recommend Travels with Charley if you haven't already read it! Ooh I haven't! Thanks for the recommendation! I read this in high school! It brings back memories of my english lessons!! I may have to give it another go. I read this book for Standard Grade English(exact same copy!) and I absolutely loved it. The ending is so sad though omg. I know! It makes me cry every single time! I think it's the copy they shipped out to every school haha! It's definitely the best book I've ever read! I loved doing it at school! I'm glad you did too! I love this book! We had to study it when I was 14 as well and I really need to get my own copy of it and The Great Gatsby too!